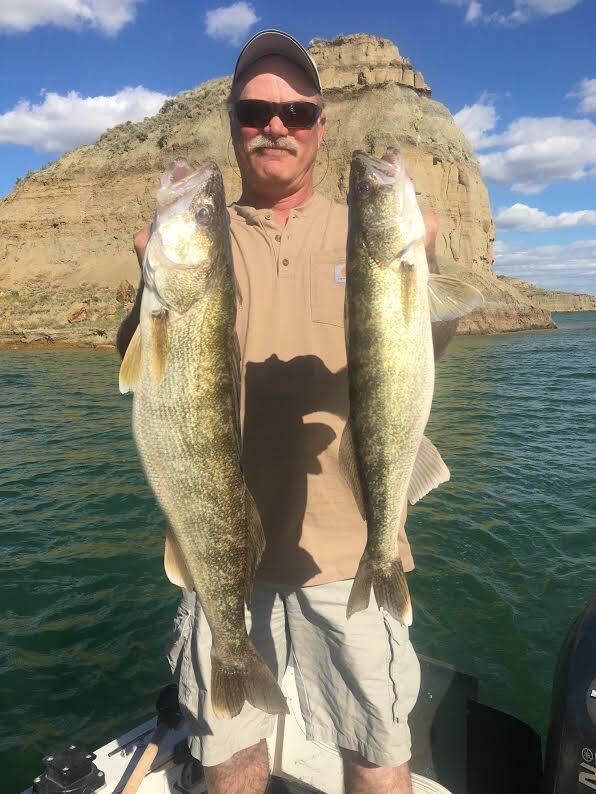 Jim Swanson joined the Captain on a walleye fishing trip to Rock Creek Marina on Fort Peck! After the Saturday radio show, they headed to the Dry Arm south to Nelson Creek. 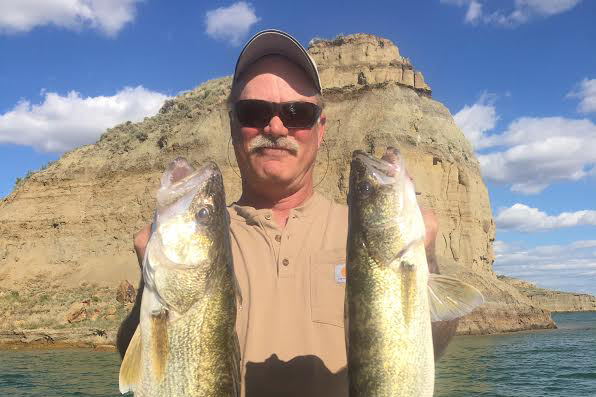 The walleyes were biting in 16-18 feet of water Minnows worked do did crawlers. It wasn’t fast and furious, but they did manage to catch some nice eyes. Biggest was 25 and the smallest was 16 inches. Nice healthy fish. They plan on fishing through Tuesday.